Further development, however, was passed on to Westland, who further modified the aircraft to produce the Walrus, with a 450 hp (336 kW) Napier Lion II engine replacing the Liberty engine of the DH.9A and Tadpole. Like the DH.9A, the Walrus was a single-engine, two-bay biplane. It was fitted with an extra cockpit for the observer/radio operator behind the gunner's cockpit, while the observer also had a prone position for observing in a ventral pannier. The undercarriage was jettisonable and the aircraft was fitted with floatation bags and hydrovanes to aid safe ditching, together with arresting gear to aid landing on aircraft carriers. The wings were detachable to aid storage. The prototype first flew in early 1921, proving to have poor flying characteristics, being described by Westland's test pilot Stuart Keep as "a vicious beast." Despite this, a further 35 were ordered. Production aircraft began to be delivered to No. 3 Squadron RAF at RAF Leuchars in 1921. No. 3 Squadron was split up to form independent Fleet Spotter Flights in 1923, although despite the extensive use by the Royal Navy, the Walrus never operated from carriers. The Walrus continued in service in the fleet spotting role until replaced by the Avro Bison and Blackburn Blackburn in late 1925. 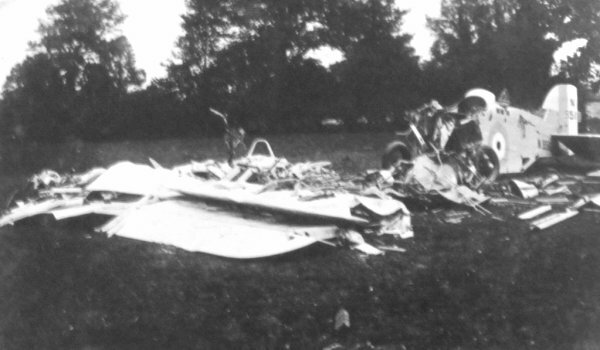 For details of the Westland Walrus that crashed at Newton Surmaville in 1921 - click here. Front view of Walrus prototype, with original chassis and wings and inflatable floating bags. Production Westland Walrus N9515 in August 1921 during handling trials with high lift wing at Martlesham Down. .... and seen from behind. 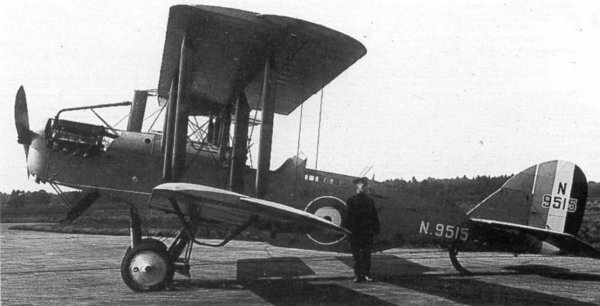 On Monday 14 June 1923, Flight Officer James Barclay Rose came to Yeovil to collect a Westland Walrus MK II (N9510) that had been modified and refurbished. He took off and gained around 500 feet but entered a turn as he climbed (later stated to be an 'error of judgement') causing the nose of the Walrus to drop. It dived to the ground, crashing into a field close to the Bunford Lane Flax factory. Flight Officer Rose was killed in the accident and is buried in Yeovil Cemetery.